The Container Recycling Institute (CRI) commends PepsiCo for recent statements from Vice President Roberta Barbieri supporting the value of bottle bills for producing clean materials for bottle-to-bottle recycling. However, it is important to point out inaccuracies in Ms. Barbieri’s statements, particularly about the cost-effectiveness of bottle bills (container deposit laws). Ms. Barbieri references California, where the beverage container deposit law is responsible for 1 out of every 5 beverage containers recycled in the U.S. The California program is self-funded through the use of unredeemed deposits, with no taxpayer money used and no additional fees charged to consumers. No other program in the world is able to maintain and pay for an 80 percent recycling rate while also providing $140 million per year to curbside programs. Beverage manufacturers and distributors pay $18 million in “processing fees,” but distributors also receive $19 million in “administrative fees,” so these two items cancel each other out – meaning there is zero net cost to the beverage industry in the state. 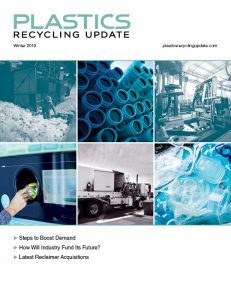 Extensive financial studies show that recycling PET through California’s container deposit system costs only about a quarter of what it does in single-stream curbside programs. But it’s misleading to compare these recycling methods side-by-side, because, as Ms. Barbieri herself notes, container deposit systems provide much higher-quality PET with greater volumes recovered than single-stream curbside programs. Deposit systems also very effectively reduce beverage container litter and marine debris. Ms. Barbieri’s statement that California’s 30-year-old program is “imploding” deserves some pushback as well. There’s nothing wrong with the design and intent of the California program, but in this time of historically low commodity prices, redemption centers are being underpaid and are losing money. It’s a problem that requires nothing more to fix it than a change to a state payment formula. The program’s reserve fund currently stands at $244 million, so there are sufficient funds to pay the centers properly. Independent data and analyses show that bottle bills work. We welcome dialogue and collaboration with PepsiCo to grow the national recycling rate and work together on solutions that maximize the financial, environmental and social benefits of our most effective recycling systems. Susan Collins is executive director of the Culver City, Calif.-based Container Recycling Institute.